Dr. Corinn Hardy started out her career with a small animal focus, but a position with the U.S. Army Veterinary Corps opened her eyes to the numerous possibilities a degree in veterinary medicine could provide. She currently works for the VA Central Iowa Health Care System as the Veterans Health Education Program Coordinator. Her current career focus is on organizational development and healthcare system redesign. She no longer discriminates by species. Outside of her day job, she is an Officer in the U.S. Army Reserve assigned to the U.S. Army Public Heath Center. She received her DVM from Iowa State University in 2006. Dr. Hardy is an AVMA Future Leader, class of 2015-2016. When she is not working, Dr. Hardy loves to spend time at home with her husband and two children. 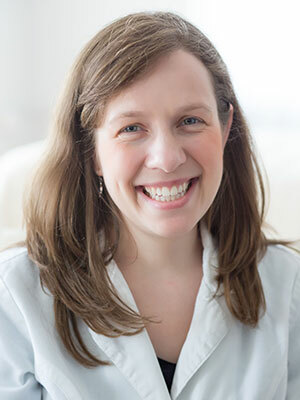 Dr. Courtney is a small animal practitioner in Kansas City, Interactive Medical Editor for Brief Media, founder of the blog Vet Changes World, and has been published in several national veterinary business publications. Will is a veterinary specialist government contractor with Booz Allen Hamilton in Washington, DC supporting the Defense Threat Reduction Agency (DTRA), part of the Department of Defense. His work centers on supporting DTRA to identify gaps in and bolster support for biosurveillance for human and animal health systems around the world. He also is a part time wildlife veterinarian at City Wildlife, Washington D.C.'s only wildlife rehabilitation center. He directs the One Health Academy in Washington, D.C., is a current AVMA Future Leader, and will be the incoming HOD alternate for DCVMA in January 2017. When not attending to his overly committed schedule, Will loves spending time outdoors and traveling with his wife, Sam.<br><br>Prior to Booz Allen Hamilton, he was an American Association for the Advancement of Science (AAAS) Science and Technology Policy Fellow at U.S. EPA, Office of Water/Office of Science and Technology looking at potential human health impacts from pharmaceuticals in water. Dr. Sander received his Bachelor of Arts in Biology at Colby College, his DVM from University of Wisconsin-Madison and his MPH in Global Health from Yale University. He's a Diplomate of the American College of Veterinary Preventive Medicine. The AVMA Future Leaders Class of 2015-2016 brings a breadth of knowledge and experience, representing the vast field of the veterinary profession.